Working through the process of purchasing my home with Linda Maull as my Agent has been a great experience. Linda guided and communicated with me constantly and answered all of my questions. Linda is still helping me to this day with my home improvement needs. Her knowledge of local contractors and resources has been invaluable. I appreciate Linda’s consideration and following through after the sale. She’s the best! Thanks, Rich M.
Linda Maull was fantastic to work with. She gave us great advice on pre-listing strategy that really paid off once we finally put the house on the market. She was helpful in coming up with creative offer responses that allowed us to reach agreement very quickly! We will definitely use her again and have already recommended her to our friends. Kevin and Susan P.
This is the second property we have purchaed with Linda’s help. We have been very satisfied on both transactions and now consider Linda a family friend. John and Deanna Makovitch. We moved to this area after living all over the country, having spent many years in the military and defense industry. Although very experienced in moving, we were unfamiliar with the Pinehurst/Southern Pines area. We could not have asked for better support from Linda. She helped orient us to the community and provided invaluable assistance to us throughout the purchase of our house. Linda is highly dedicated to her profession, very knowledgeable and goes the extra mile in providing support to her clients. Dan and Linda J.
Linda, my wife and I cannot thank you enough for the wonderful experience that we had working with you during the purchase of our home in Southern Pines, NC. You left nothing to go wrong because of your attention to detail and your concern for our well-being through-out the process. Your help did not end with closing on the property, you have been active in referrals and advice, and most of all you have been a good friend. We sincerely hope that anyone looking to purchase property in our area would find you for assistance. We will send them your way whenever possible. With best regards, Maynard and Sharon S.
We cannot be happier that we chose Linda Maull to help us sell our home. She listened to us, kept us informed during the whole process, and her efforts and dedication made selling our home a success. 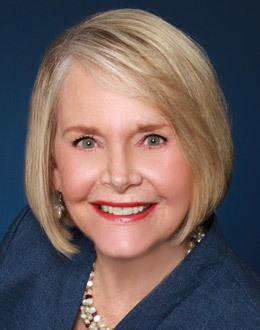 Linda is a topnotch agent and very knowledgeable, and we would recommend her to anyone who needs a true professional in the Pinehurst real estate market. Eric and Sue B.
Linda Maull was highly recommended to us through a friend who had retired after many years in real estate. She has proven to be a thoroughly competent business professional, well-trained in all aspects of the housing market. Linda used her skills, working diligently to obtain the most satisfactory transaction on my behalf. I do not hesitate to give her a FIVE STAR rating. Clare L.
I have to say that myself and my client-friends could not have been more pleased. She has treated them with both friendship and knowledge to make their experience both fun and rewarding. Sincerely, Tom J.
Linda Maull is a superb realtor. Over the past 5 years in Pinehurst, we have bought a house and a building lot, and sold another house with her assistance. We have moved around the country quite a bit, and have worked with at least 10 other real estate agents. Linda ranks at the very top of the list. She listens carefully to the client’s needs and wishes, responding intelligently and honestly as to what is realistic and what market conditions are. Her knowledge of the local market is always accurate and up to date. She is extremely well organized, both in arranging house viewings and in all the paperwork. Her clients receive folders full of pertinent and useful information, both about the properties that meet the client’s criteria and about the community. Linda screens very carefully, and will not waste a client’s time by showing properties which are not on spec. While she will present a range of properties to give the client a good sense of what is available, she is not one of those agents who pushes more expensive properties in an attempt to get the client to “reach”. On the selling side, Linda does a great job of identifying comparables and helping the client set an appropriate market price: we accepted an offer on our house within 3 weeks. Linda is the most pleasant, upbeat, helpful, reliable person a client could hope for. She returns calls and e-mails immediately, and always accommodates the client’s schedule. Her personal list of good service providers is amazing ans she gladly shares their contact information. Linda goes way beyond the normal duties of a realtor- she treats her clients as her friends, and we count her as a friend indeed. Lucy L.
Linda, we appreciate all of your hard work and dedication. You sold our house in record time. We know how hard you worked to ensure that everything went to closing smoothly and kept our stress level to a minimum. Thanks for all of your wonderful advice and support through the process. We really appreciate you and the experience that you brought with you. Jim and Robin L.